Thu., July 12, 2018, 9:10 a.m.
IDAHO FALLS – The Museum of Idaho has received a donation of more than 80,000 artifacts and specimens unearthed from a series of caves west of Idaho Falls. The artifacts and objects were discovered in a series of three caves on private land owned by Leonard Wasden and his brother-in-law Kenneth Huskinson, in the desert west of Idaho Falls, a museum news release said. The Wasden site, about 20 miles outside of Idaho Falls, is one of the earliest places in the Northwest where human tools are associated with mammoths, according to previous Post Register reports. Archaeologists from the Upper Snake River Prehistoric Society and Idaho State University started excavating at the site in 1965 and continued into the 1970s, uncovering what was probably a prehistoric kill site for large game, the release said. The Wasden family retained ownership of the findings, which have since been held at ISU’s Idaho Museum of Natural History. No additional digging has occurred since the 1970s, even though only one of the three caves has been excavated fully. The collection contains “archaeologically significant elements up to 14,000 years old,” the release said. 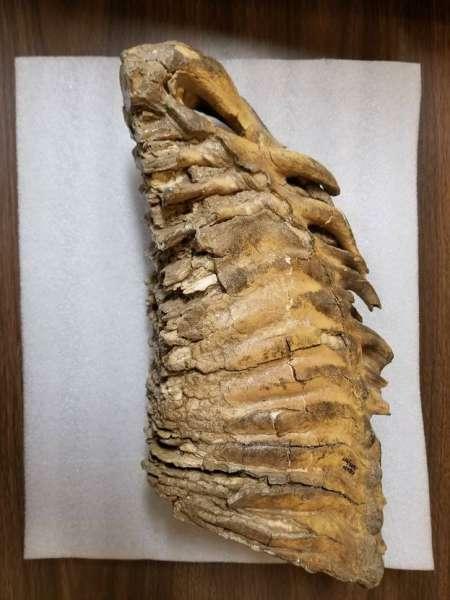 It includes Columbian mammoth, bison and camel remains as well as Folsom Points and other goods used by some of the earliest humans in what is now eastern Idaho. Museum officials plan to make the collection accessible to researchers and to place many of the items on public display, the release said. Two years ago, two of the late Wasden’s grandsons, Randy and Stephen Harris, along with a friend, Terryl Christensen, formed a nonprofit organization called the Wasden Archaeological Association, with a mission to protect and promote further research and public access to the artifacts. With permission from each of Wasden’s and Huskinson’s descendants, the Harrises elected to donate the entirety of the collection to the Museum of Idaho, the release said. No party is receiving financial compensation for the donation. The Harrises were impressed by the Museum of Idaho’s proposal to feature the artifacts prominently in its forthcoming “Way Out West” permanent exhibit, made possible by the museum’s imminent expansion. Construction on the expansion will begin next week. “The Way Out West is about interacting with Idaho’s land and resources and how each of us is shaped by these experiences,” Museum of Idaho Curator Carrie Anderson Athay said. “The significance of the Wasden Collection to this story is immense. This is one of the region’s first known occurrences of humans working together to implement a better way to hunt and process animals. The Museum of Idaho recently purchased a nearby building on Water Avenue to house elements of the collection not on public display, with future designs on transforming the building into a collections and research center, the release said. Published: July 12, 2018, 9:10 a.m.